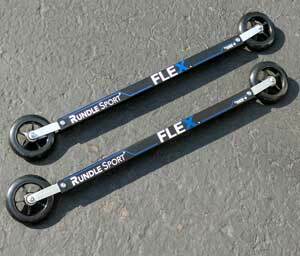 Tame that chip and seal with Rundle's new FLEX rollerski. Create a customized ride, based on your weight, a get a snow-like feel. The Pursuit Fork Flex skate rollerski is great for anyone skiing on pavement, and particularly for skiers forced to ski on sections of rougher pavement. Roller Skiing - The 1950s Sports Craze! Roller Skiing, vintage sports footage from Holland and Germany in the 1950s. Taken from the two British Pathe newsreels. 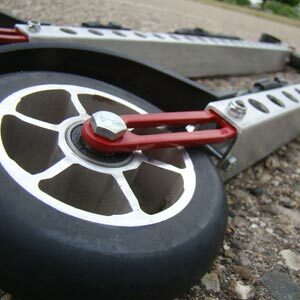 Swenor offers a complete line of classic, combi, and skate rollerskis, include super fast skate model meant only for racing (recommended for the next Climb to the Castle). 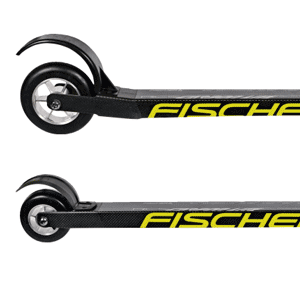 There's a lightweight three-wheel classic ski (the Tris), speed reducers are available on some classic models, and there are a couple very fast skate ski models for those looking to put the hurt on their bicycling buddies. The U.S. 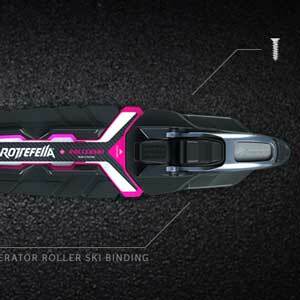 Ski Team has named the Norwegian roller ski brand Swenor as a supplier to the Team. Swenor recently entered into a long-term distribution agreement with Swix Sport. Pro-Skis traditionally feature heavy duty frames that can take lots of abuse and long wheel life. Manufactured in Sweden, they are distributed exclusively in North American by WebSkis.com in Bend, Oregon. 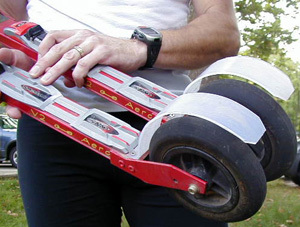 The C2 Flex are a great classic rollerski that provide provide a unique feature: you can easily tune your ride. 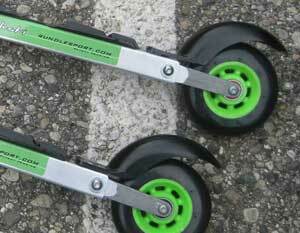 These should definitely be on your short list if you have rough pavement.